New YA authors have been coming out of the woodwork in droves, and frankly, we welcome them all. We love reading stories from new authors and we love reading good stories. With so many books coming out from so many authors, it can be hard to stand out, however, one has definitely caught our eyes. 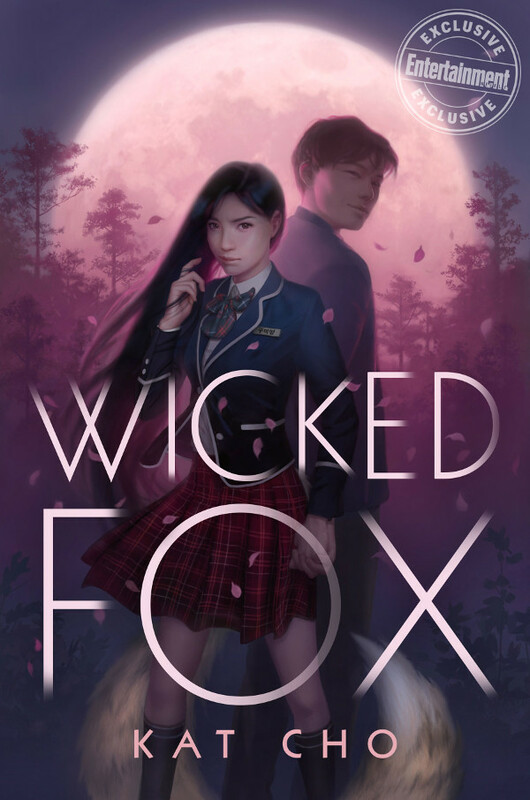 We love seeing and reading about diverse characters, and we love reading about tales or mythology from different countries, so this is a treat, because new author Kat Cho is bringing us one from Korean folklore titled Wicked Fox. 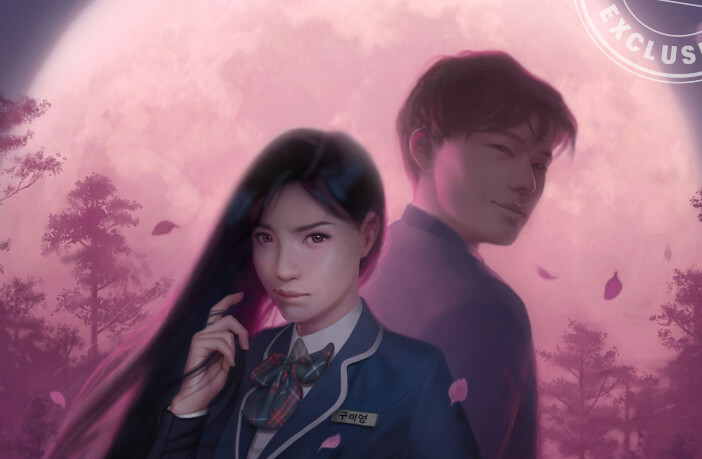 If you like urban fantasy, this looks like one right up your alley as it’s set in modern-day Seoul, about a Gumiho, a shape-shifting immortal nine-tailed fox creature that usually disguises itself as a girl and feeds off of humans. In this version, the Gumiho is slightly different. Misty clouds hung heavy in the sky. He didn’t like the idea of going into the woods when even the light of the moon was absent. A shiver ran down his spine and goosebumps rose on his skin. Jihoon clicked on his phone light, squared his shoulders, and entered the woods. “Dubu, come on, girl,” he yelled loud enough for his voice to echo back. At night, the shadows became a menacing gray of shapes reaching for him. Ghosts and monsters shifted in his peripheral vision. It didn’t matter that he’d stopped believing in those things long ago. Night and darkness made a believer of everyone. Something pulled his sleeve and he spun around with a shout an octave higher than he would like to admit. Jihoon half expected to see a leering dokkaebi with rotting teeth and malicious intent, story monsters used to make kids obey their parents. He laughed to release his jitters. A shape darted past and his laugh became another yelp. “Dubu!” Jihoon took off after her. He was going to wring that dog’s neck. He’d go to the pet store and buy an exact replica of Dubu. His halmoni would never know the difference. Jihoon tried not to twitch at every noise or rustle of leaves. He kept his eyes straight ahead, refusing to glance into the shadows surrounding him. He finally caught up with Dubu and scooped her into his arms. She wriggled, clutching something in her teeth. Jihoon hoped to the heavens it wasn’t a rat. She dropped it, and he jumped back in case it was still alive. With a fair bit of embarrassment, Jihoon realized it wasn’t a rodent but a shoe. More specifically, a girl’s sneaker. Wandering back through the woods with a wriggling Dubu in his arms soon revealed that Jihoon was good and lost. He couldn’t even find a hiking path to give him some semblance of direction. In his arms Dubu’s body vibrated with a low growl. Nervously, Jihoon glanced around, expecting to see some wild beast approaching. But there were only shadows and trees. It seemed Dubu was reacting to nothing, or perhaps a wayward squirrel had scurried past. Then Jihoon saw one of the shadows by an old oak shift until he made out the shape of a lurking creature. The beast growled, an echo of Dubu’s. Jihoon clamped his hand around the dog’s muzzle to quiet her. At first he thought the animal was warning them away, until he realized it faced the opposite direction. As he stepped back, his ear adjusted to the sounds. They weren’t growls. They were words. Before Jihoon absorbed this new fact, Dubu shook her snout free of his grip and let out a tirade of barks. When the hunched figure turned, the light of the moon slanted over its face. You can read the rest of the excerpt at EW.com.